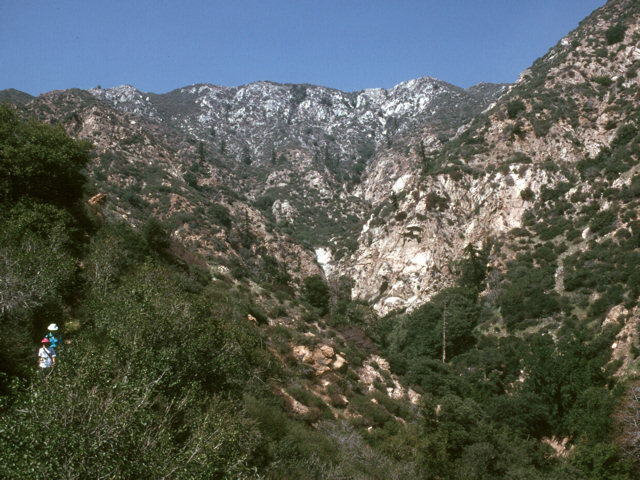 This location covers some of the higher elevations at the western extremity of the San Gabriel Mountains. 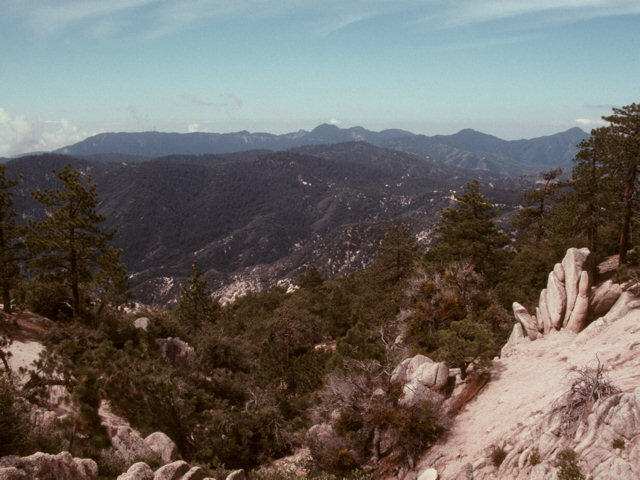 We begin at Mill Creek Summit (4,900 ft), on the short interpretive trail to the lookout, which is a good place to see several manzanitas, including the San Gabriel Manzanita (Arctostaphylos gabrielensis). Then we explore Mt. 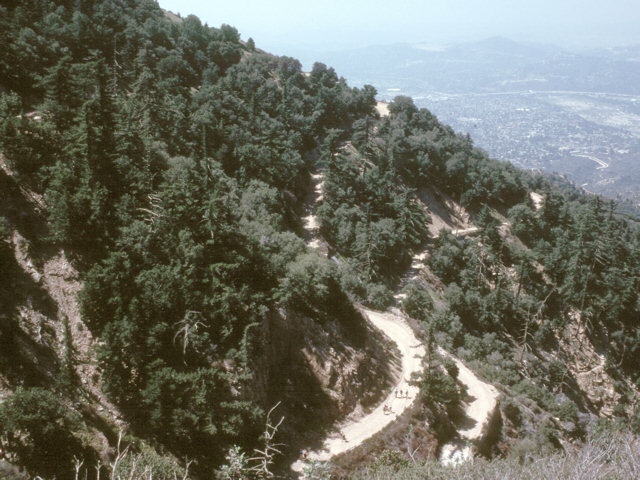 Gleason Road, following the ridge line all the way to Mt. Gleason (6,500 ft), with views sometimes to the west and sometimes to the east. 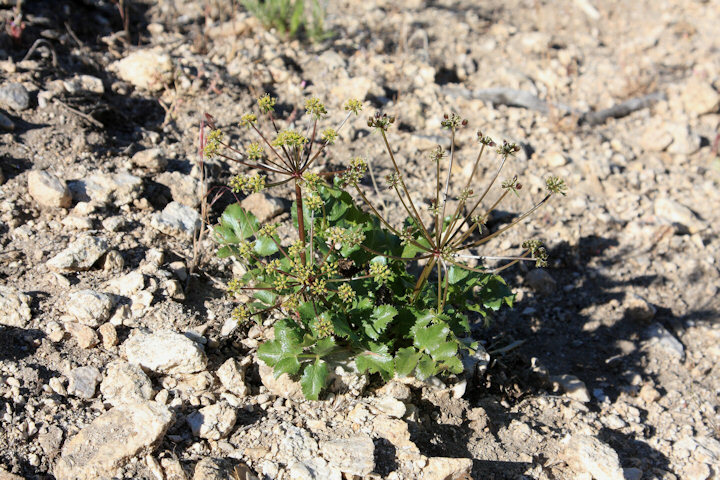 A particular botanical attraction in this area is the Mt. Gleason paintbrush, which is our chapter logo, but there is also a good variety of other subalpine flora. The date was late April. After passing a correctional facility (via a gravel road that detours around one side of the facility) the road ascends Mt. Gleason itself, where there is a disused microwave communications tower. Comparing Parry's manzanita (A. parryana) (L) and Bigberry manzanita (A. glauca) (R). Parry's has a bright green leaf. Glauca has a whitish-green leaf, and very sticky, green fruit. The Parry's fruit is shiny, red, non-sticky (L). Glauca fruit will later turn red like a “little apple”, its common name in Spanish. Mountain Sagebrush (Artemesia tridentata ssp. vaseyana). 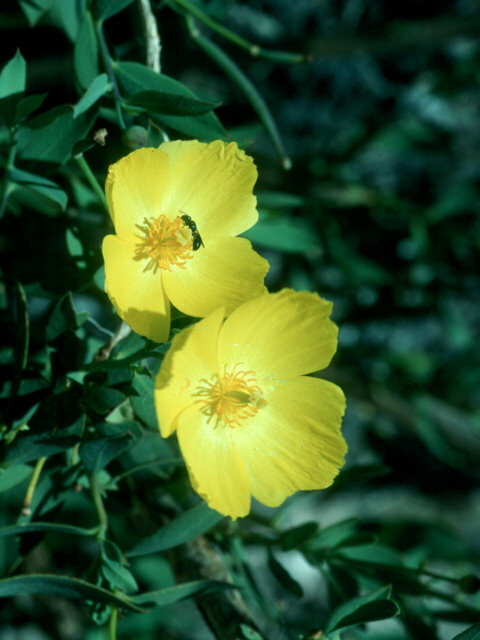 The inflorescense rises above the foliage, and is not intermingled within it. San Gabriel manzanita (Arctostaphylos gabrielensis), one of the rare plants at Mill Creek Summit. Distinguishing features: relatively open flowers (L), erect nature of the tree (M), ground-level burl (R). 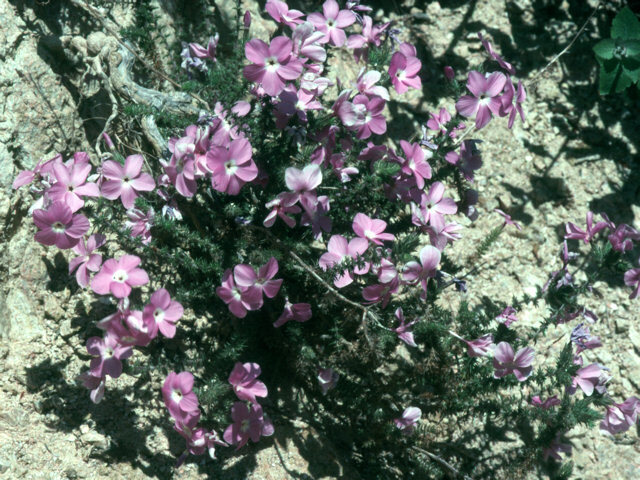 The flowers here are white, but had become characteristic pink when seen one week later. Left: Parry's manzanita (A. parryana) with Bigberry manzanita (A. glauca) slightly behind. Right: A very large Bigberry manzanita (A. glauca). Close-up of Strawberry Peak, with cloud bank of the coastal fog and smog oozing up from L.A.
L: Strawberry Peak. R: Wide-angle view from Strawberry Peak at the right to beyond Mt. Waterman at the left. Twin Peaks is visible to the right of Mt. Waterman. Images © 2003-2019 Graham Bothwell.